I'd heard about this one awhile ago, but never really gave much thought to reading it. However, your post makes me think I'd really enjoy it. Plus, I'm enjoying graphic novels more now than I used to :) Thanks!! I just came across this one again in my book stacks and was thinking about rereading. Maybe this fall. I just finished a Tesla biography and I'm in a sciency mood. 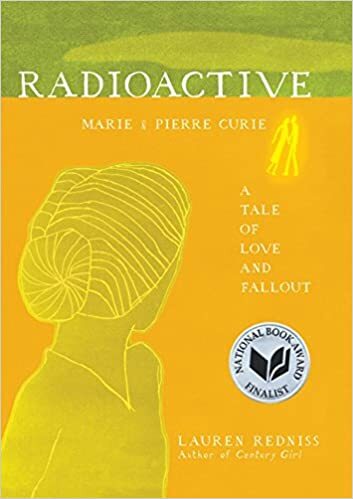 Would never have thought of Marie Curie's biography appearing in graphic novel form. Am still struggling with graphic novels, so this might be just the read to inspire me to get into them more. Interesting post. God, Marie Curie was so cool. This author wrote a book about THE WEATHER recently and it was super great too, although a bit dense with text. Otherwise awesome. I love her and I want her to write twelve more books.